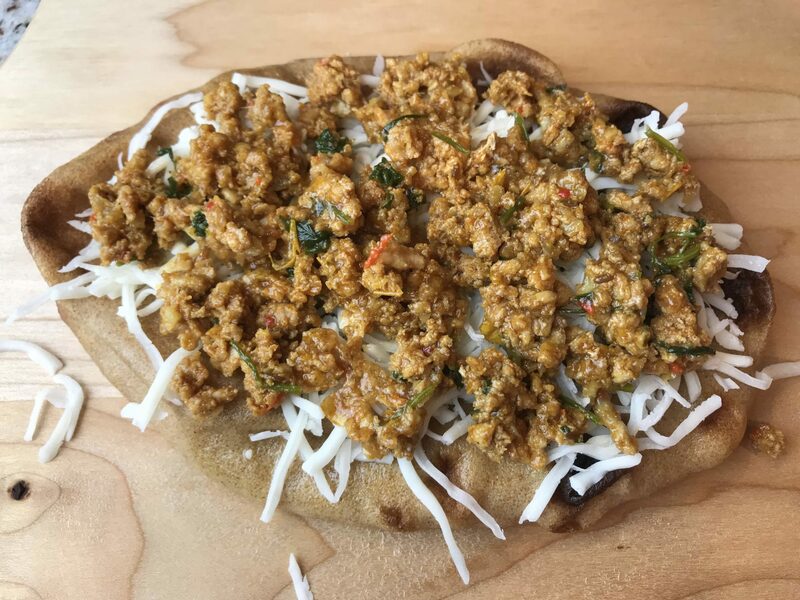 Keema Naan Pizza! 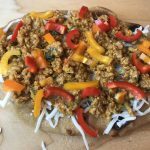 Naan bread (Indian flatbread), brushed with garlic-infused olive oil, topped with shredded mozzarella cheese and Indian spiced ground meat, Keema. I add sliced sweet rainbow peppers to that, sprinkle it with cayenne and fresh cilantro. 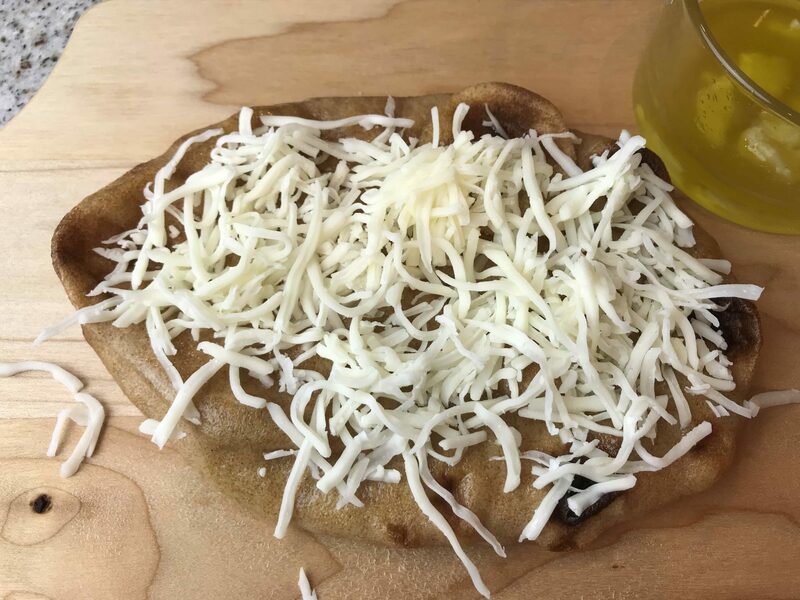 and bake it till it’s toasty and the cheese is bubbling… if your mouth isn’t watering yet, you need to taste this! The first time I made this Keema Naan pizza, I was in food heaven. 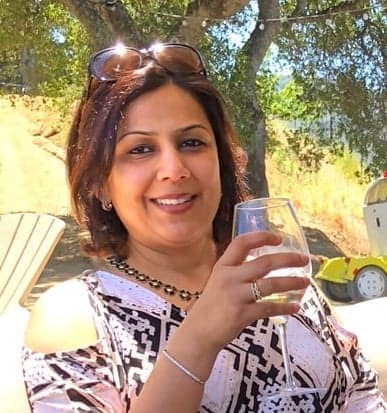 After all, I had just combined two of my all-time favorites, Pizza and Indian food! 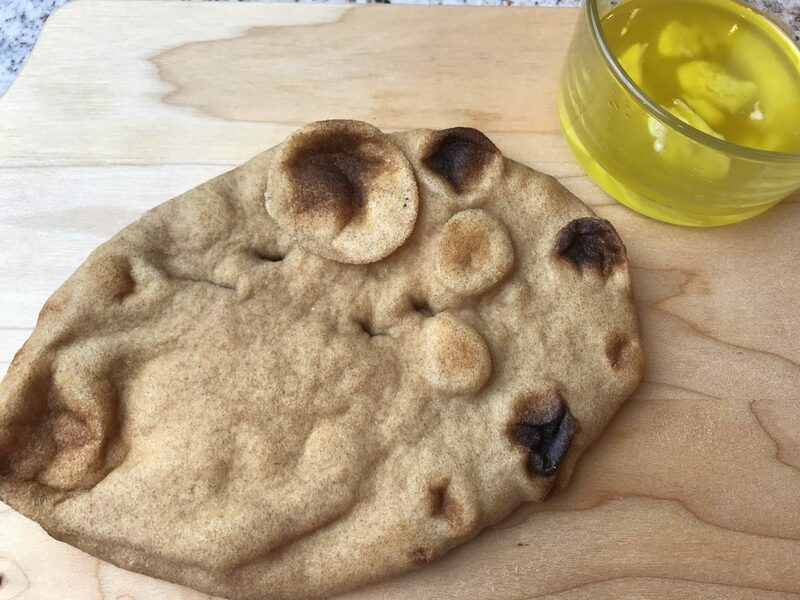 Naan Pizza is one of my family’s favorite TGIF dinners. It’s easy, delicious and everyone gets to customize their own pizza. When my kids were younger, we used to make pizza from scratch. 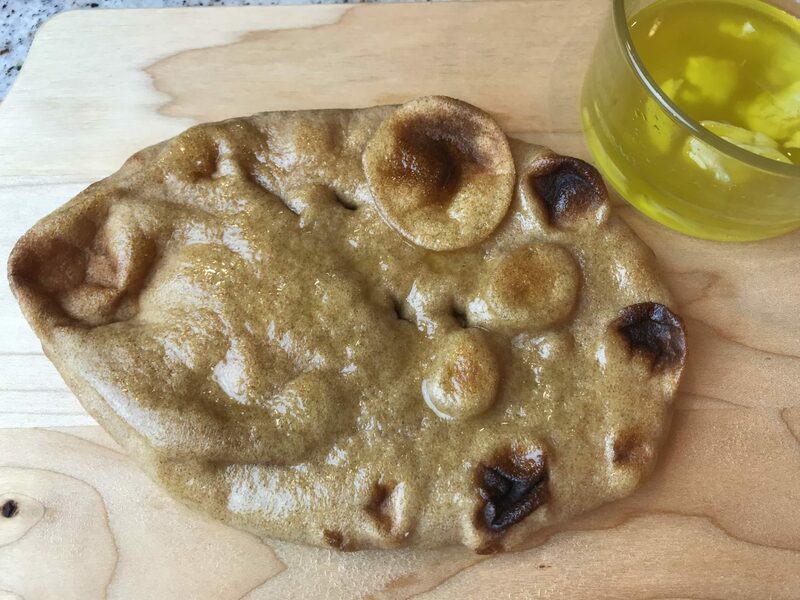 Kids would love to help in kneading the dough, sprinkling the pizza board with flour, roll out the pizza dough into ‘anything but round’ shapes:-). And then top it with their favorite toppings, with extra cheese of course! With time, as we all grew busier, this little hack came in very handy. 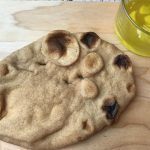 Now I buy store-bought Naan or Pita bread, and we do an ‘International Pizza night’ at home once a week. 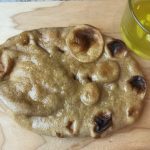 We mostly use a whole-wheat version, but this pizza can be made with other bread-bases too, like Pita breads, Tortillas, baguette and Naan. 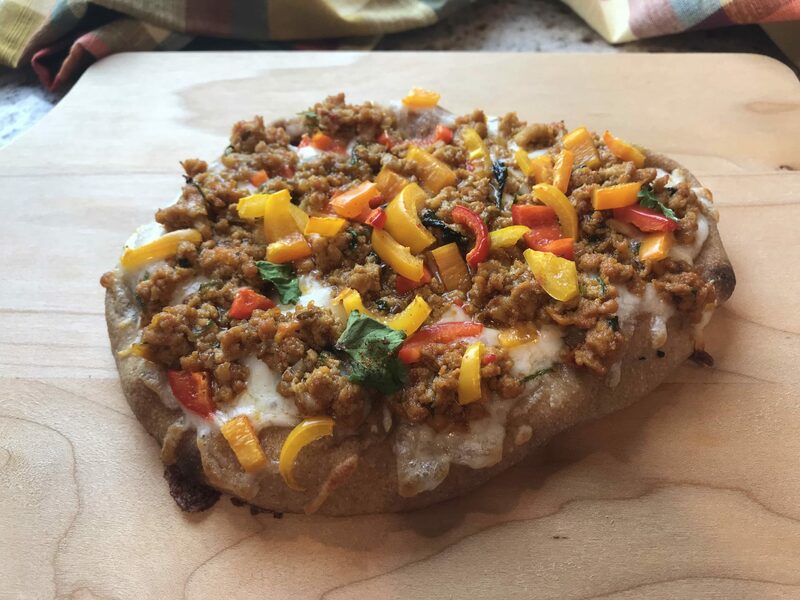 When we started making Fusion Pizzas at home, sky was the limit. 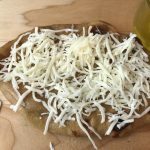 After a gazillion flavor experiments, we now have a few favorites, that include Mediterranean Pizza, Taco Pizza, Thai-delight Pizza, Tandoori Chicken Pizza, Paneer Tikka Pizza and so on. Indian Naan Pizza is one of our favorite combinations to do. 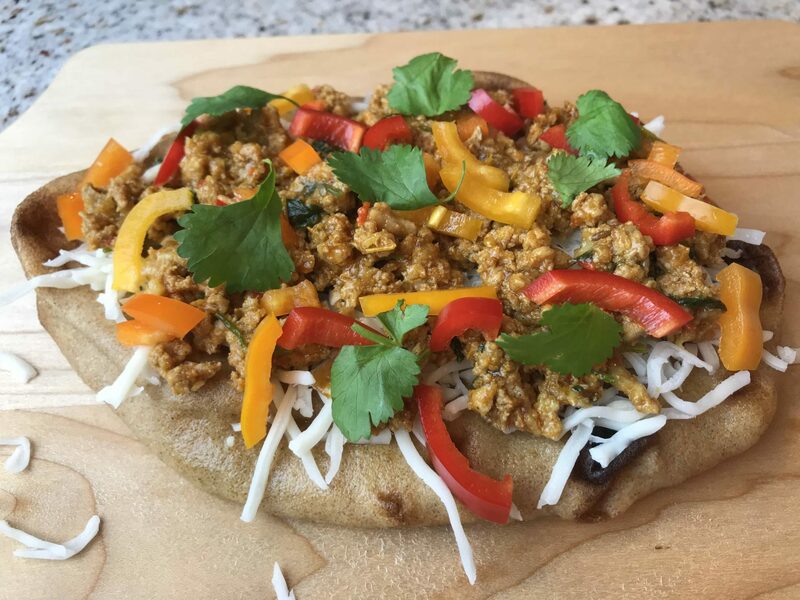 It’s Pizza with an Indian food twist! 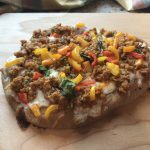 I’ll update this post as I upload all of these recipes. 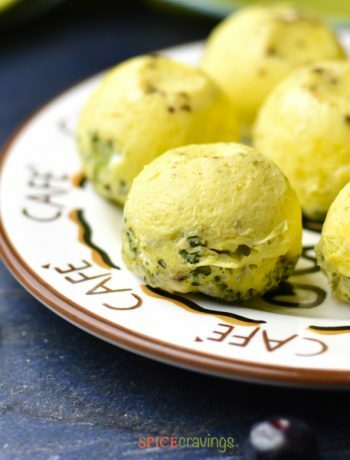 This is a great way to revamp any leftovers too. I use paneer leftovers, grilled chicken, shredded pork-rib meat, slice up some peppers and onions, throw everything on the Naan, bake it till toasted and serve it with a side of a salad. It makes for a real delicious meal. This is an excellent way to get your kids involved in the kitchen. When my kids were younger, they used to have a great sense of pride that they helped make dinner. Now, as they are growing up, it’s a great way for us to catch-up and spend some quality time together. Kitchen time is when the school stories come out, we find out more about their friends, what joke Mr.T cracked in the class that week, how they tacked the giant assignment. We all get to share our highs and lows from the week while cooking. 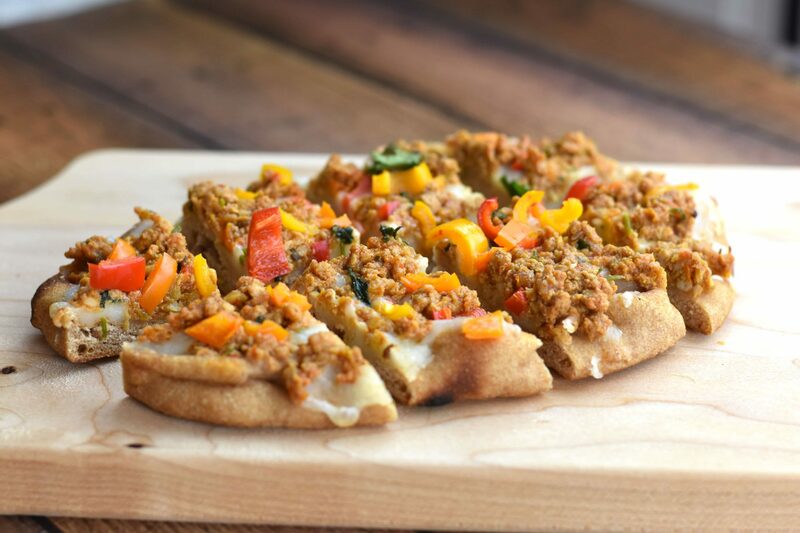 Keema Naan Pizza makes for a great appetizer too. I cut it in 2-inch pieces and serve it as appetizers. They’re easy to grab with one hand, especially if you’re holding a drink in another, and they make for great conversation starters! 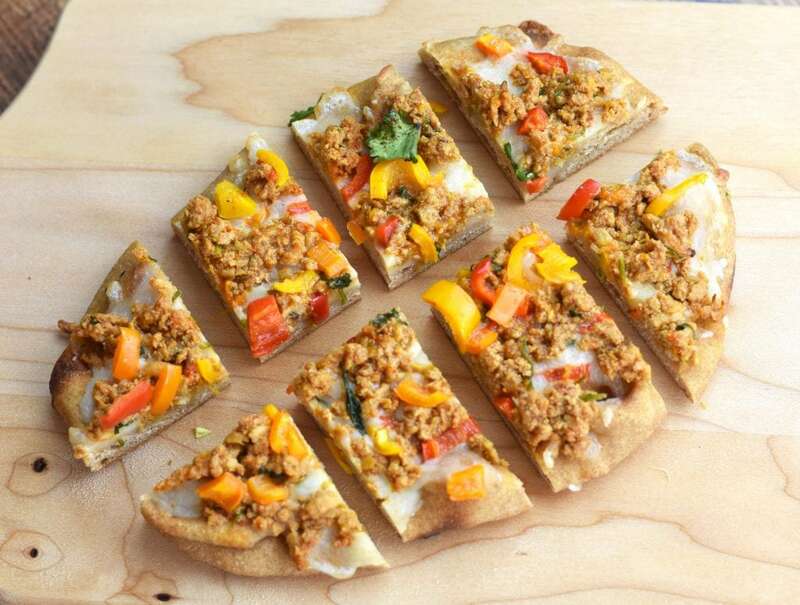 You can make this pizza with any kind of ground meat like chicken, turkey, lamb or beef. 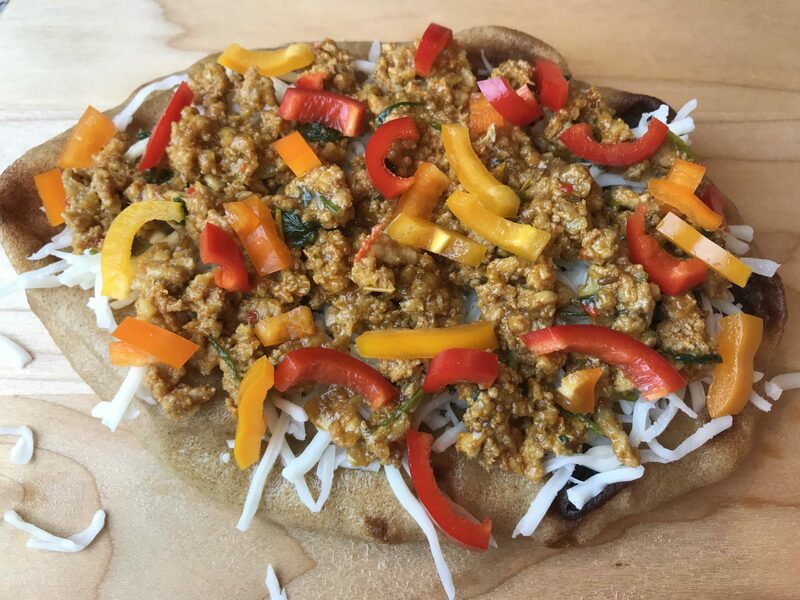 You can make this into a vegetarian naan pizza by switching the ground meat with finely diced mushrooms or a minced paneer preparation (Paneer Bhurjee). 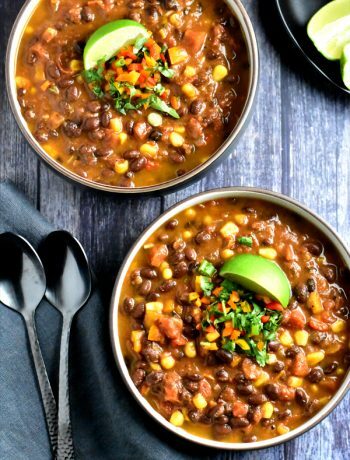 (see instant pot FAQ). You can make this a day or two in advance too. 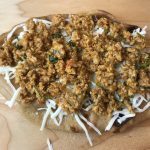 So this curry recipe is great for a weeknight dinner, where you can prepare your Keema over the weekend. For a detailed recipe, including a stove top recipe and video for Keema curry, click here. You can then simply assemble this Curry Pizza and pop it in the oven for 8 minutes! This comes together in 15-20 minutes with very little effort. 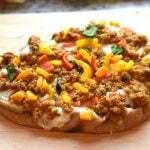 This fusion pizza is made with warm and oven-toasted Naan, brushed with garlic-infused olive oil, topped with mozzarella cheese and keema (spiced ground meat). Finely chop onion and ginger-garlic. Turn on the Instant Pot on Sauté. Wait 30 seconds for it to warm up. Add oil and chopped onions and ginger-garlic paste. Sauté for a minute. Add salt and all dry spices and sauté for 30 seconds. Add 1/4 cup water and 3 tablespoons of tomato paste. (Adding water makes it easier to stir and blend the tomato paste.) Stir and sauté for 30 seconds. Add 1/2 cup water and ground meat. Adding the water with the meat helps in incorporating the spice mix with the meat. Use a wooden spoon or a tall spatula to break the meat it into smaller chunks. Mix it well. Close the lid. Set valve to Sealing. Cook on Manual for 10 minutes and then release the pressure manually (QR). If using ground chicken or turkey, reduce the cook time to 8 minutes. Open the lid, turn Instant pot on Saute. Sauté for 1-2 minutes till the extra liquid evaporates and peas cook through. Turn off the IP. Crush one clove of garlic and add it to the tablespoon of EVOO. Microwave it for 20 seconds, while you slice or chop rainbow peppers. In that time, the olive oil will get infused with the garlic, after which, you can throw out the garlic. 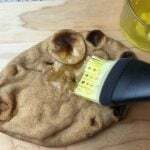 Brush Naan with garlic infused olive oil. Spread about 1/3-1/2 cup of shredded mozzarella cheese on the naan. 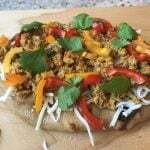 Spread an even layer of keema on top. Add the sliced peppers and spread those around too. Sprinkle a pinch of cayenne per Naan and add chopped cilantro. 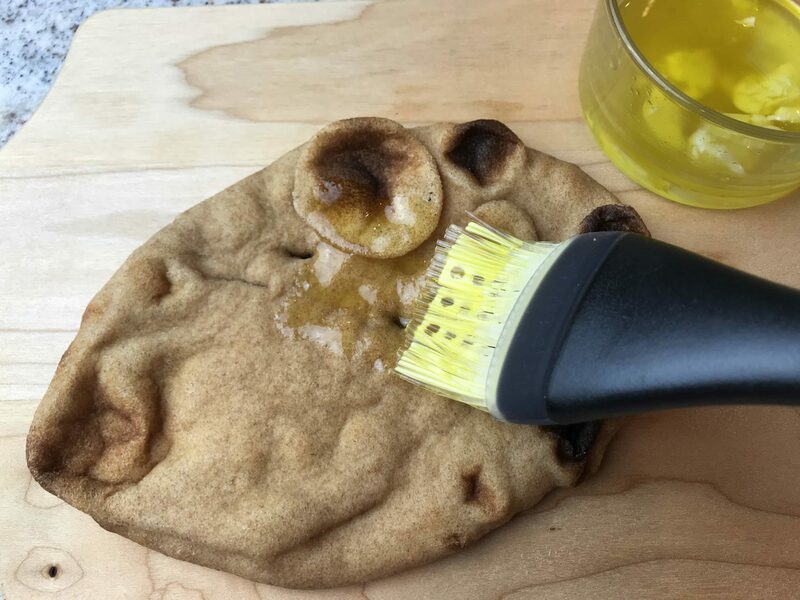 Bake the Naan pizzas in a 425 degrees pre-heated oven for about 8 minutes, or until the base is nicely toasted and the cheese has melted. Rest the Pizza for 5 minutes and slice it up and enjoy!